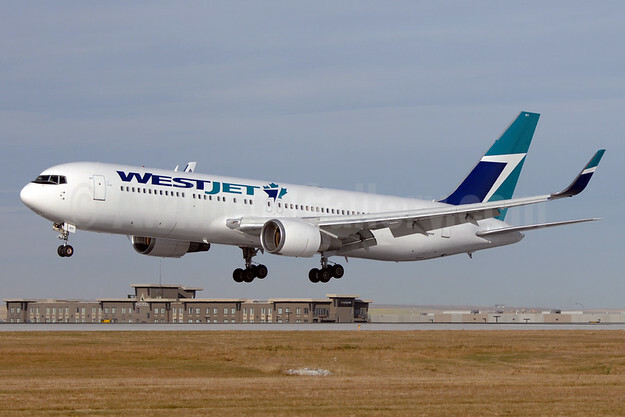 WestJet is seeking $65,000 from a recovering alcoholic whose excursion off the wagon caused one of its Boeing 767s to return to Calgary on a flight to London. British resident David Stephen Young, 44, already had some altitude under him when he boarded the flight home on Jan. 4. Nature called before the seatbelt light had gone off and Young forced his way into the bathroom when challenged by the flight attendant. He remained belligerent, threatening a passenger who intervened, and the crew decided they and everyone else would be more comfortable without him. Young, who said the stress of a family Christmas pushed him back into the grip of the grape, also resisted police and Customs officials sent to pull him off the plane. He spent seven days in jail and pleaded guilty to a couple of charges. His defence lawyer and the prosecutor agreed the seven days was enough jail time but WestJet wants to be repaid some of the expenses it incurred to deliver Young to justice. The plane dumped and burned tens of thousands of litres of fuel and the airline had to cover the expenses of passengers inconvenienced by the U-turn. Sentencing will occur next week.